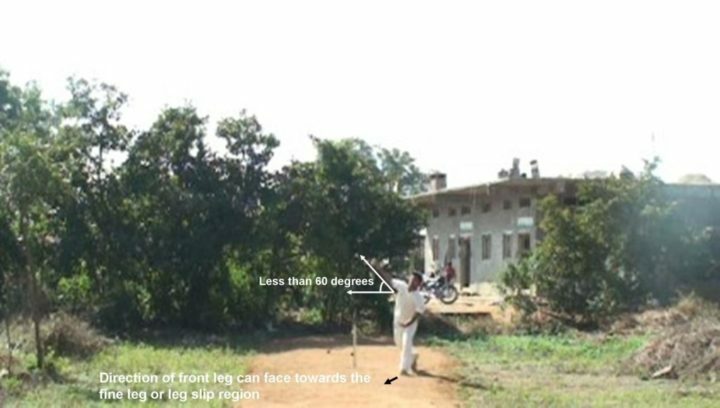 Flipper is a surprising quicker delivery in a leg spin bowling which actually pitches with in the line at a length of 3 to 6 yards and will rush suddenly into the batsman ( in no time ) after hitting the pitch. 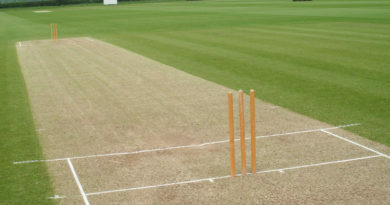 How do you bowl a flipper? 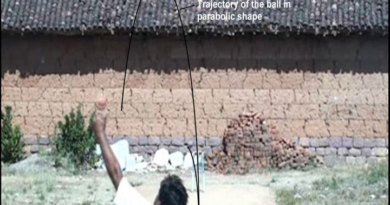 Just like similar to the grip of leg break, the grip will be almost similar, with having some differences, first thing is hold the ball across the seam, in such a way that there should be enough comfortable gap between palm and ball with thumb always switching on the seam, the two fingers middle and index are nicely rested comfortably on top seamy part of the ball, and finally the ring finger is slightly rested along with down part of the seam. 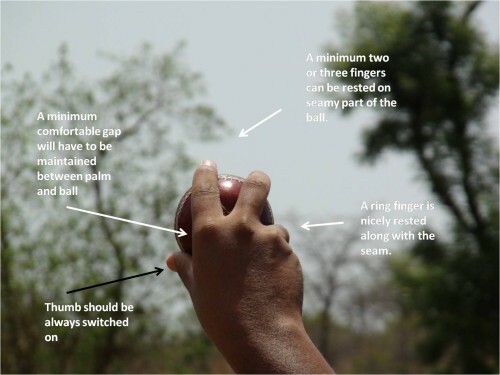 And remember the ring finger can also be rested along with the index and middle fingers on top seamy part of the ball, in fact depends on the comfortability of the individual. 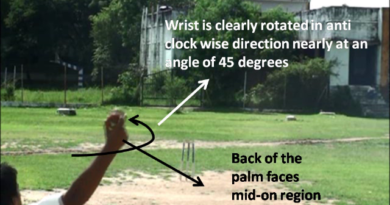 You can see below during releasing period of time the thumb is switched on which is always compulsory, but in other deliveries like leg break, top spinner, goolgy etc switching on the thumb is always a option. In our normal life just like we click the fingers thumb and middle, in a similar fashion you need to do same action at the time of releasing period, just click the ball in horizontal forward direction, make sure that the ball spins underneath with the seam (facing the batsman) rotating in backward direction with lesser flight. 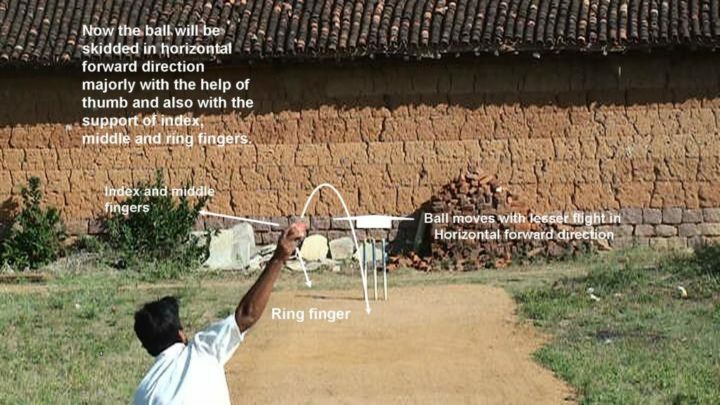 At the end of the day the ball should be skidded in horizontal forward direction majorly with the help of thumb and also with the support of index, middle and ring fingers. In order to skid or click the ball in forward direction with lesser flight, the position of arm will have to be maintained less than 60 degrees, the position of arm will be slightly low compared to the classical leg spin bowling arm. And the position of wrist has to be maintained in such a way that the back of the palm will have to face the sky. 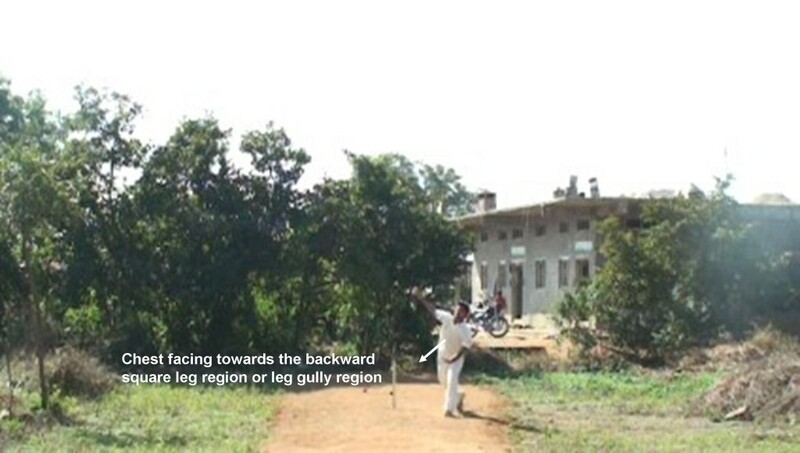 Since you are going to skid the ball by clicking the fingers in forward direction the ball along with the seam facing towards the batsman will try to rotate in backward direction, which finally skids or rushes into the batsman after hitting the pitch. At the end of the day this is how all the different factors can work together to bowl this kind of Flipper.